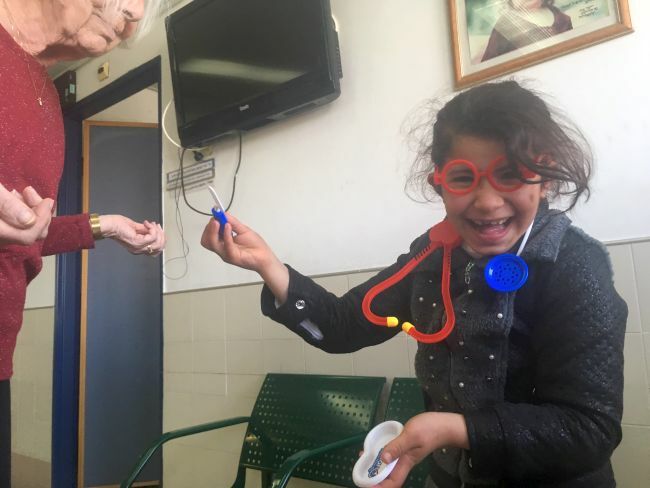 Praise God for a wonderful Gaza clinic! 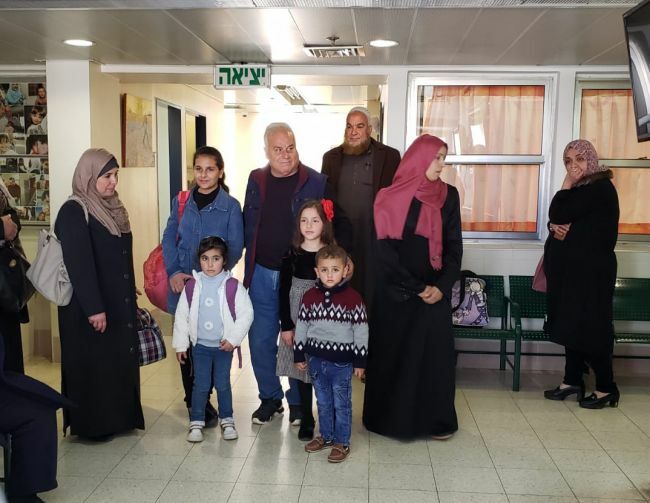 Most of the Gazans that came out were follow up appointments, so six of the children had echoes. 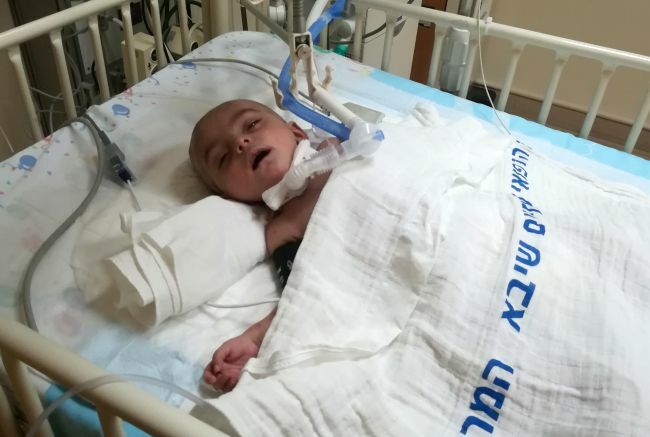 But one girl, a 22 year old named Hadeel, was admitted for a battery change in her pacemaker, so please be praying that the procedure would be free of complications and her time in Israel would even bring the joy of the Lord to her life. The follow-up echoes were all good news! 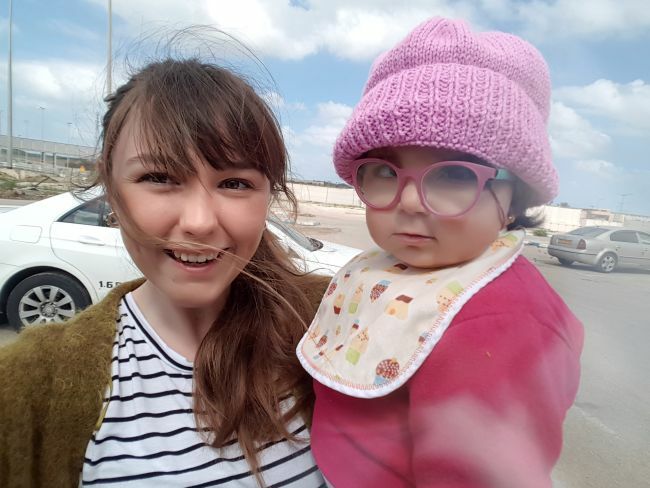 A toddler named Sham had her first echo since her surgery a month ago, she came out with her aunt, and sweet 24 year old named Souzan had a very good appointment, the doctors were well pleased with her continued progress! 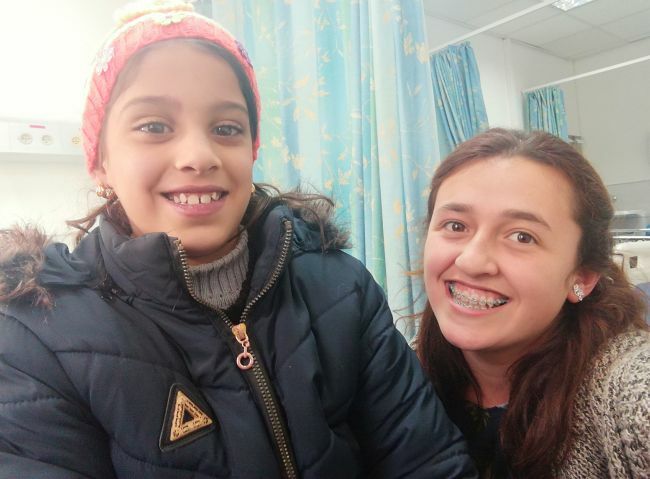 The doctors also gave good reports for Aisha, Hanan, Salma, and Hayat who will have varying future follow-up echoes, but praise God their health is good and please pray with us for continued healing! All in all it was a beautiful day. 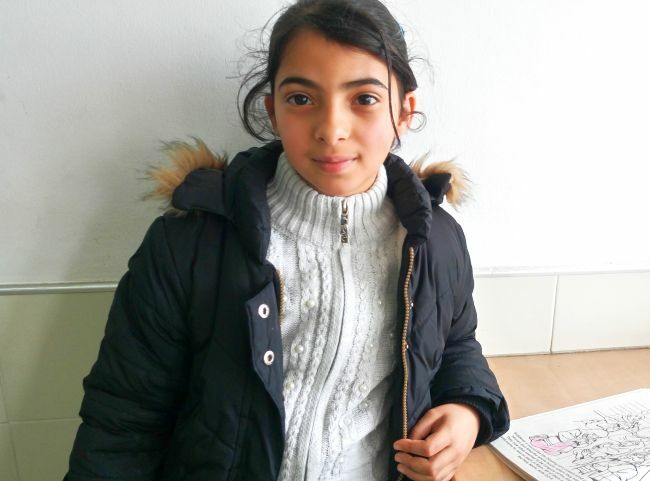 Adrie and I had the privilege of spending much of the day with Salma and Hayat, who were both around eight years old. We quickly transformed the waiting area into a play area as we spread out paper, pastel crayons, puzzles and dominoes. I almost didn’t bring the dominoes this morning before we left, but thank God the Holy Spirit gave me an inkling to bring them along because some of our most fun moments came from building structures around the teddy bears we gave them and multiple attempts at making a long line of dominoes which inevitably one of us would accidentally knock over. What a privilege the Father gave us today to interact with these beautiful families and for all the great reports we receive. Thank you Jesus! 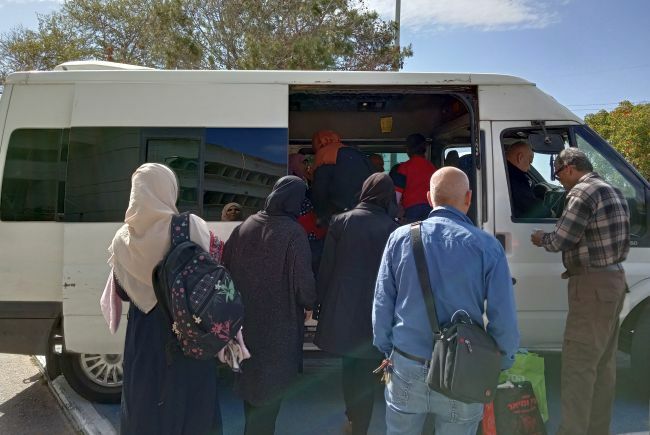 Today I headed over to Wolfson to visit our children who are admitted there from Gaza. 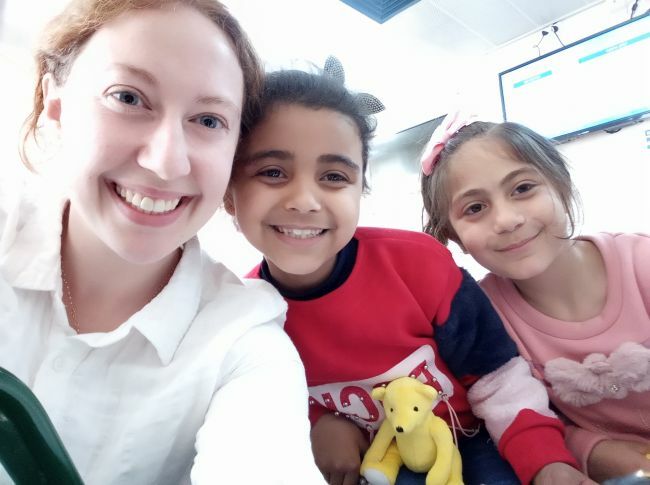 I had the privilege of meeting three children with their mothers. What a blessed time it was talking with them, sharing tea, and sitting for some time. They are absolutely lovely and have created such a strong bond between the three mothers there, it was beautiful to see! Mohammed D. had his second inguinal hernia repaired today. His heart surgery went well and his first hernia was repaired and today the second hernia repair was also successful. The nutritionist also came around to educate Mohammed’s mom to help him gain weight. He is such a tiny little guy, it’s good to see the nutritionist there to help get him grow big and strong! 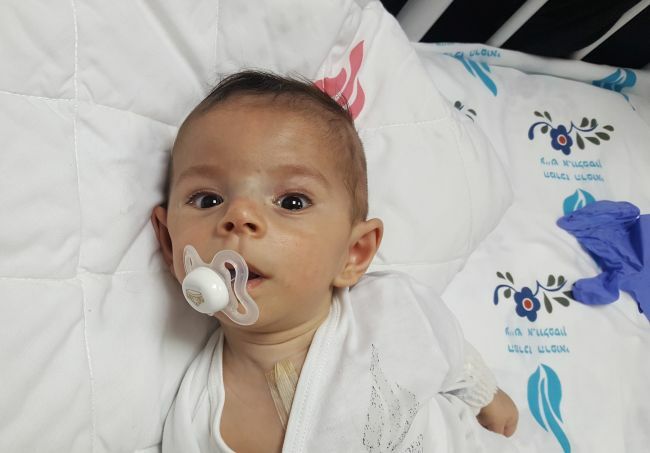 Mohammed’s mother was extremely strong and did great during the surgery. 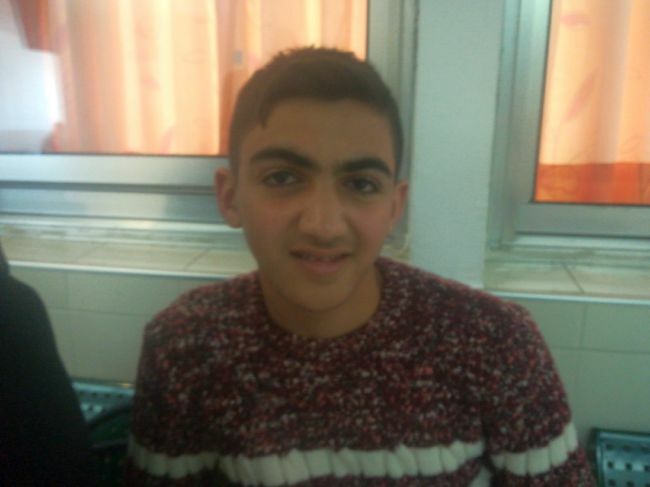 Please pray for a full recovery and Mohammed to soon be gaining weight. Mohammed L. was having a central line placed today. He has an infection which needs antibiotics and his peripheral veins are very tiny. The little guy has had IVs in his scalp, hands, and feet and they always end up having problems. So, he went down to have the more reliable and longer-lasting central line placed into his neck. 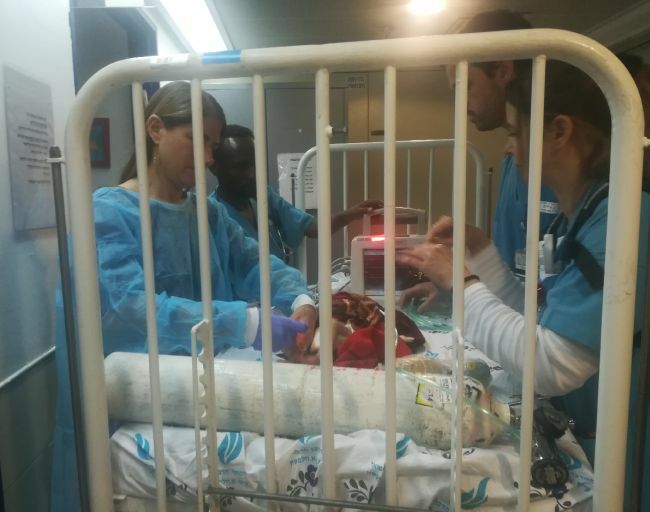 He was crying due to hunger from fasting for the procedure, but around 12.30 headed out of the secondary ICU for placement of the line. His mom did a great job comforting him, but once he was wheeled away she was tearful and the weariness was obvious in her face. 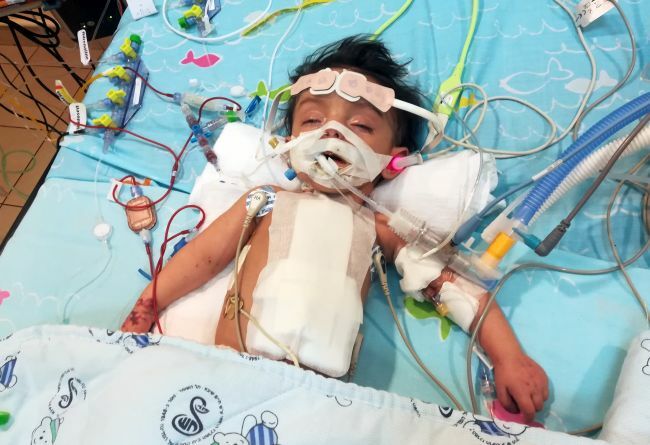 Please pray for her energy and also baby Mohammed’s recovery. 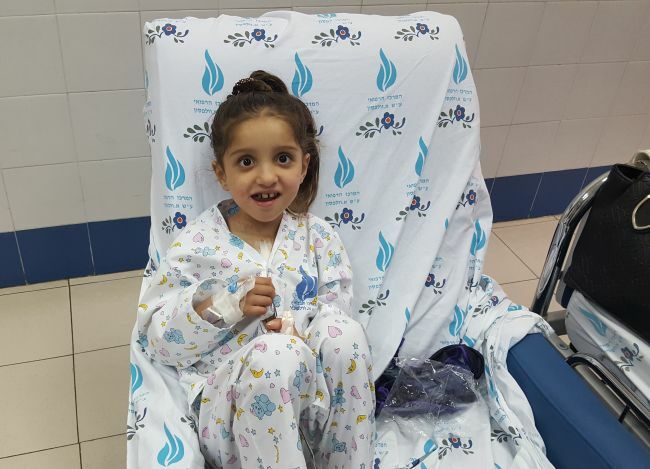 Haleema is now in the children’s ward after her second surgery. She is walking around now, which the doctors were very happy to see. She is also eating better. You can see in her face she has lost a lot of weight and she will need to regain it to help with her complete healing. The nutritionist also did some education with her mom. Haleema quietly sat during our visit and drank tea while eating various candies and biscuits. 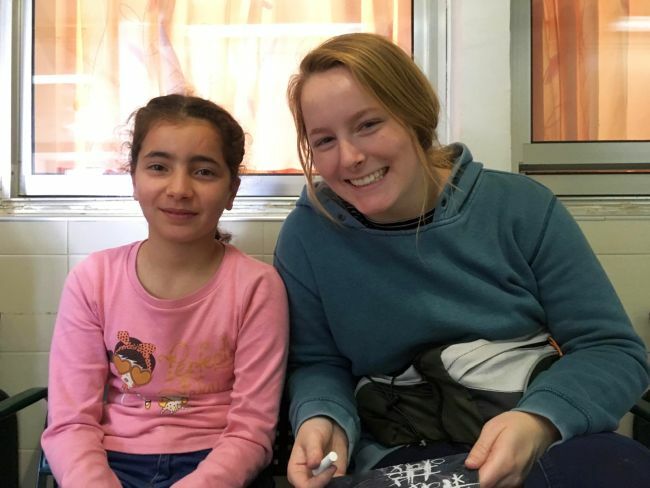 She did eventually help to teach me, alongside her mom, some of the Arabic words for different colors of the rainbow. 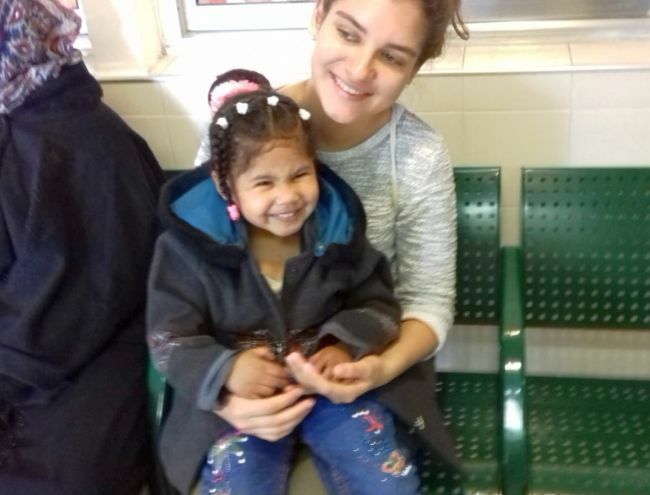 Haleema’s mom is now patiently waiting for word that Haleema is well enough to return home to Gaza, but she knows it is a process that takes time and was encouraged to know we are all praying. 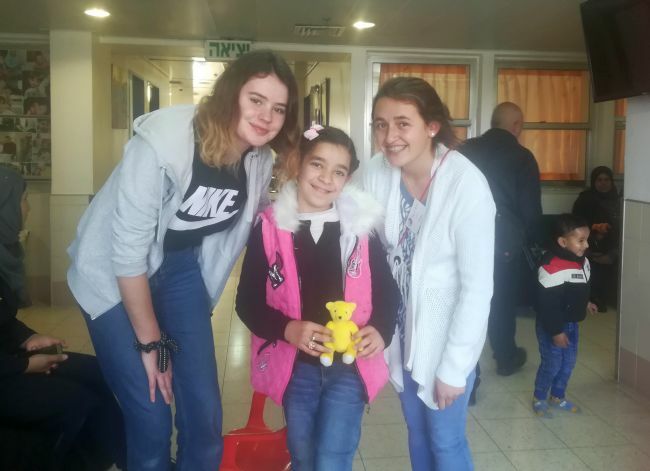 Leen has been discharged from Sheba today and has gone home to Gaza. 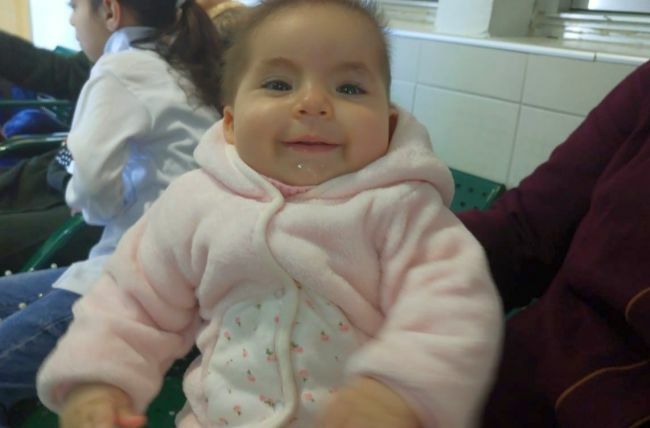 She was happy, healthy, and sleeping well amidst her mother asking me lots of questions in Arabic that I had no idea how to answer. 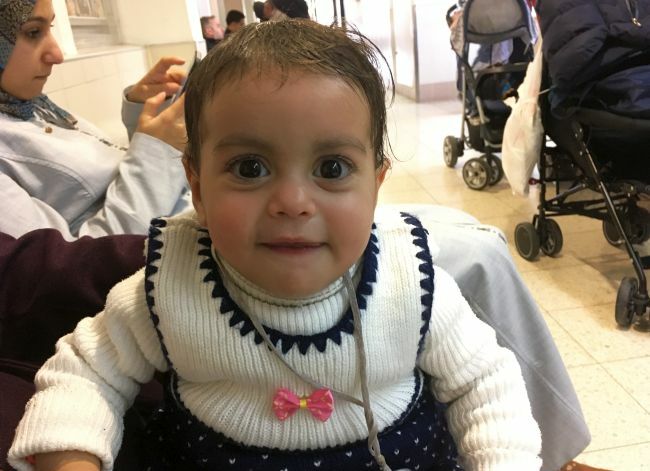 Please continue to pray for her recovery back in Gaza. 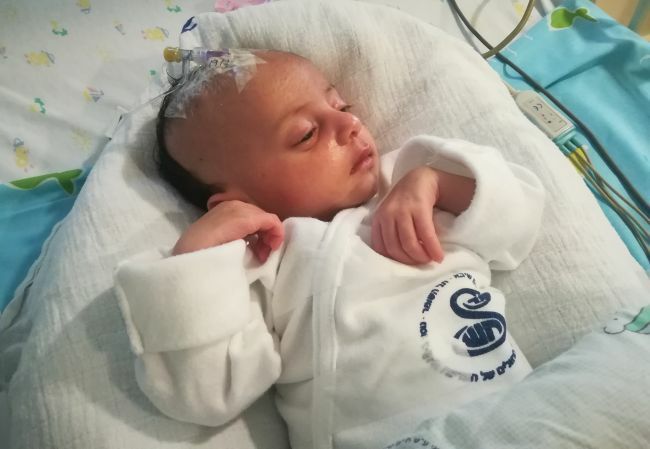 Having had her surgery yesterday, Baby Leen is doing pretty well at the moment (There are two girls from Gaza named Leen, a baby and a toddler). According to the nurse, baby Leen will be extubated today. Also Leen was awake and moving. Grandma was happy to see Leen doing better. Another good thing was that the nurse could speak Arabic, so the grandma could ask a lot of questions. 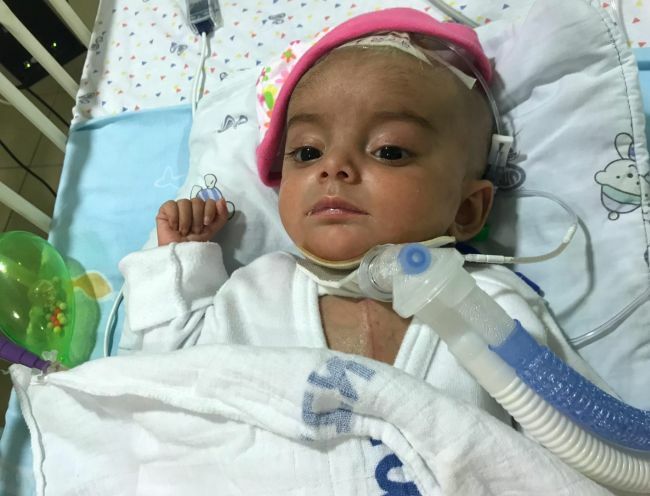 Please continue to pray for little Leen that she is gaining strength and her condition stays well. Also pray for comfort for both Leen and Grandma. Today was a wonderful day at Wolfson. 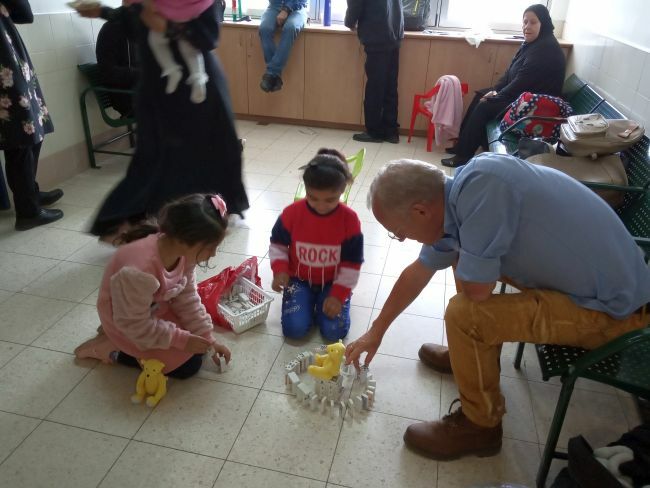 The echo clinic was attended by 5 children and their guardians with others present from the West Bank. 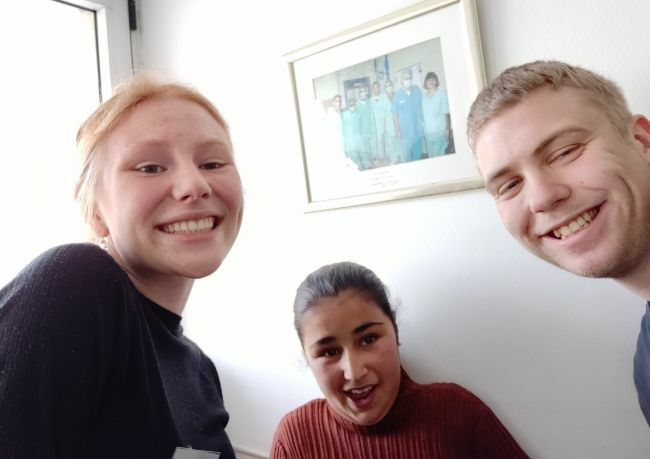 As a team from Shevet today we were blessed to be joined by 3 members of the Teshuva band who all did a great job of getting stuck in with helping at the hospital. 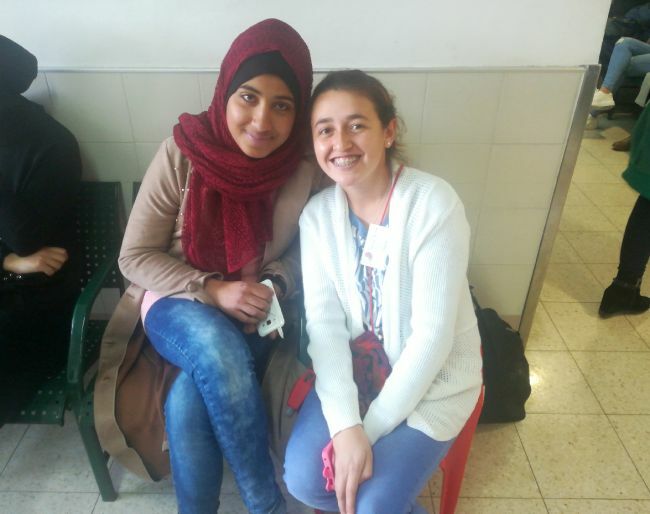 There was a real sense of joy in the waiting area today as we got to know lots of new people from Gaza, the West Bank and Israel. 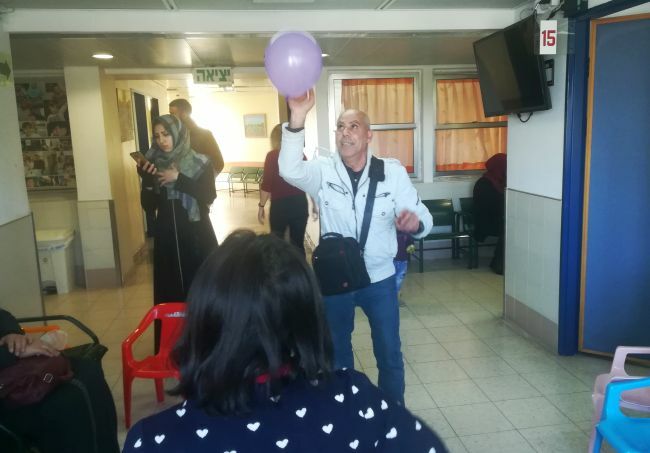 It was a much calmer clinic than normal and I thank God so much for this combined with some extra pairs of hands allowed us to spend more rime with individual families and also to build our relationships with those who work at the hospital. Praise God for this! God our provider also foresaw what we could not. Having expected at least 10 children in clinic today we had prepared 20 lunches to give out. Our abundance of food today meant that we were able to offer out sandwiches and fruit to most of the waiting room! It was such welcome nourishment to all who received it. One of the children attending the clinic today was admitted to hospital as She has a scheduled catheterisation tomorrow. 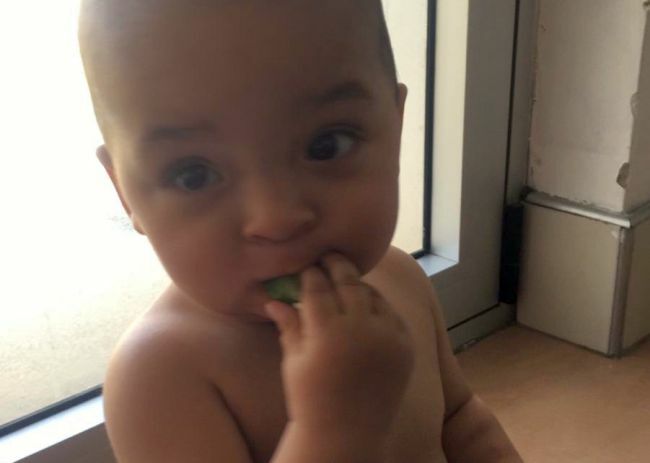 All of the other children had positive echos and will be reviewed again in clinic in the near future. 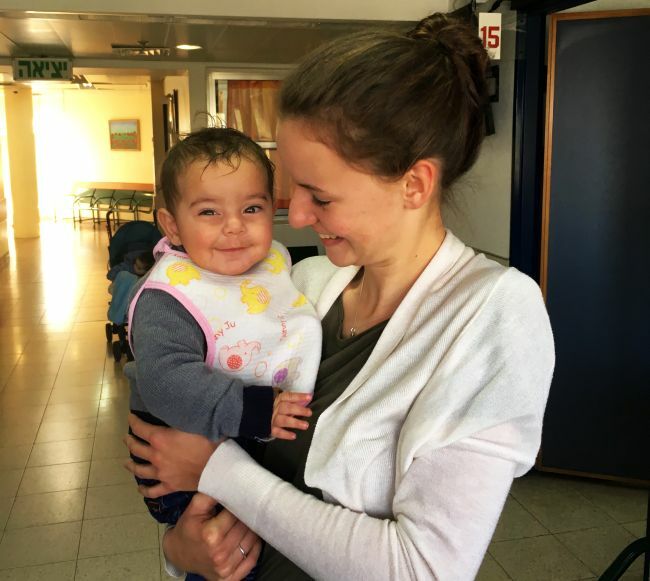 How lovely it is to have an opportunity to meet and share with our neighbours in Israel. We thank God for the healing work he has done in the lives of each of these precious children. Each one is loved so much more than they could know at the moment. 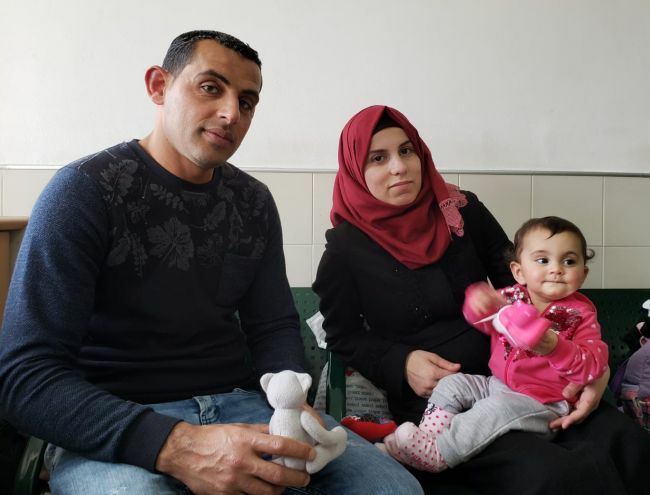 Please pray with us for our work with families from Gaza that God will bless conversations and continue to use us in ways which show best His loving heart. 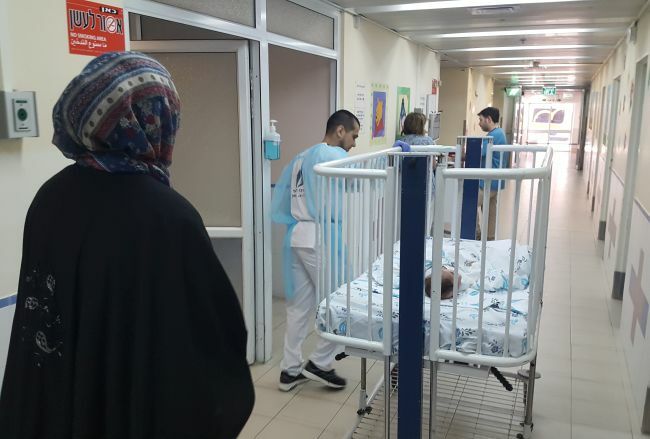 Today we had 8 families arrive at the hospital from Gaza for an echocardiogram. 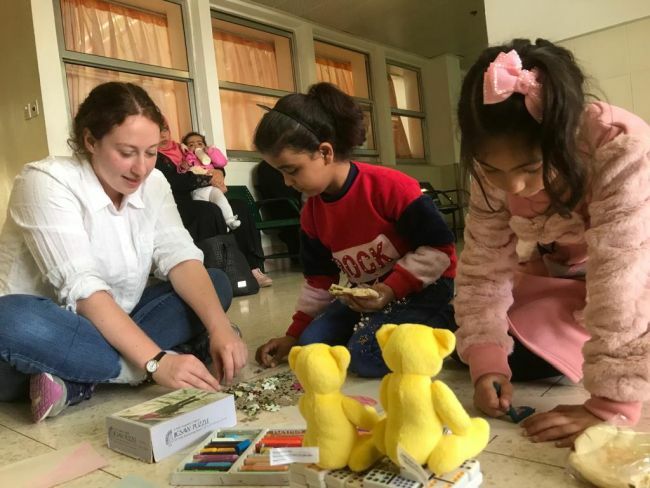 These children ranged from only a month old to 11 years, but all of them waited patiently and spent their time talking, coloring, and playing tic-tac-toe. 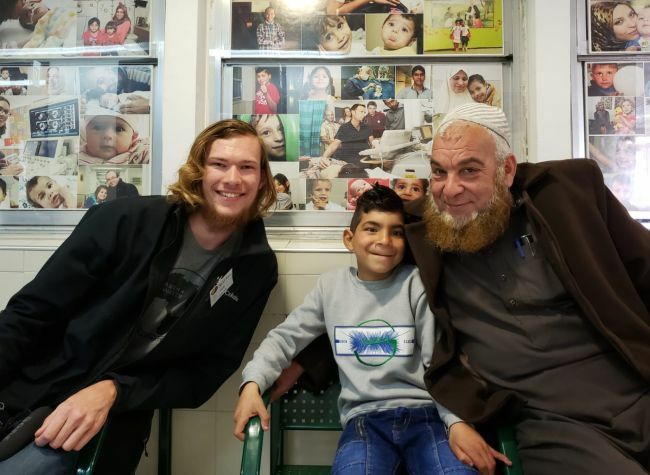 While we were at the hospital, we brought pitas filled with meat and vegetables to the kids and their families which allowed us to interact with the mothers. These people who made it here are all so strong and we are so thankful to have had the opportunity to make an impact for Christ while also being impacted. My time was mainly spent with Hala. Hala is 6 years old and has such a sweet demeanor! When I first learned her name and introduced myself, a small smile lit up her face. We were able to color together and she colored in lots of red tigers, black and pink birds, and many other animals found on Noah’s Ark. I’m very thankful to have had this time to spend with her today. Today I spent most of my time with Tala. She is ten years old. She was shy when I first approached her but quickly warmed up to me once we started playing tic-tac-toe! She even beat me two times! She understood a little of English so we were able to talk a little and laugh together. She was so sweet and had such a genuine smile on her face at all times. She was so mature for her age in the way that she interacted with me and others. I spent quite a lot of the time with Reeta, a 2.5 month old baby. She was very cute and wore a cheetah-print onesie even though it wasn’t that cold today. 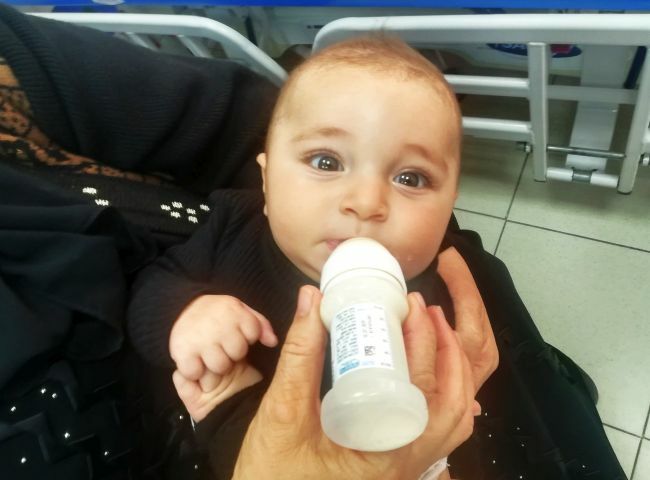 Her grandma managed to get her some milk from the hospital which they will take back with them to Gaza. Reeta slept the majority of the time so I was able to use the time and have a little chat with her grandma. 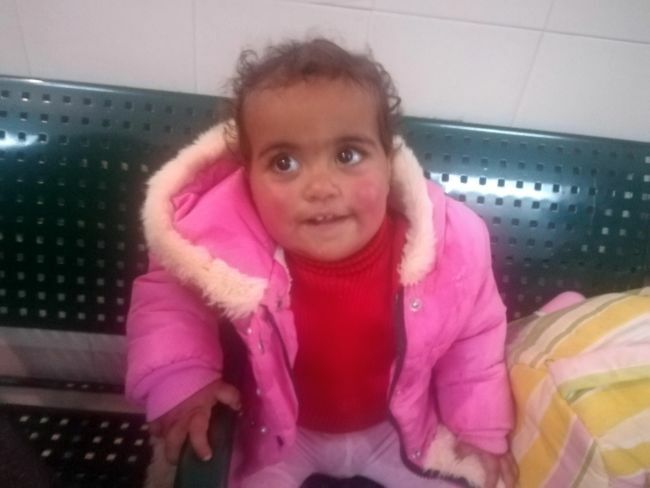 Today arrived also an urgent girl from Gaza that should have had already surgery two years ago. Please pray that she will be able to get her treatment very soon and that it will be successful. 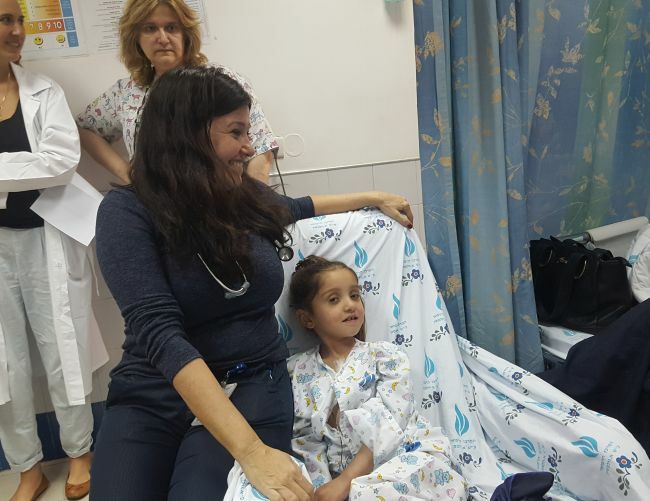 It’s always a joy to spend time with the Gaza families at Wolfson hospital. 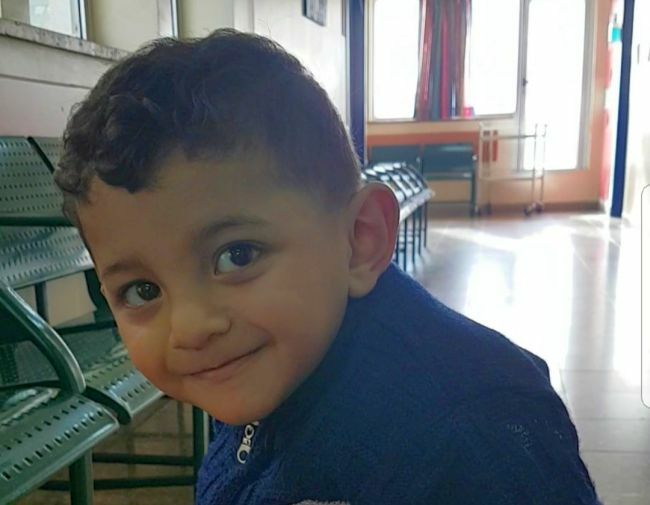 Today 10 families from Gaza came with their beautiful little kids for different procedures. We enjoyed our time with playing with a ball, blowing balloons, painting with crayons and stuff like that. 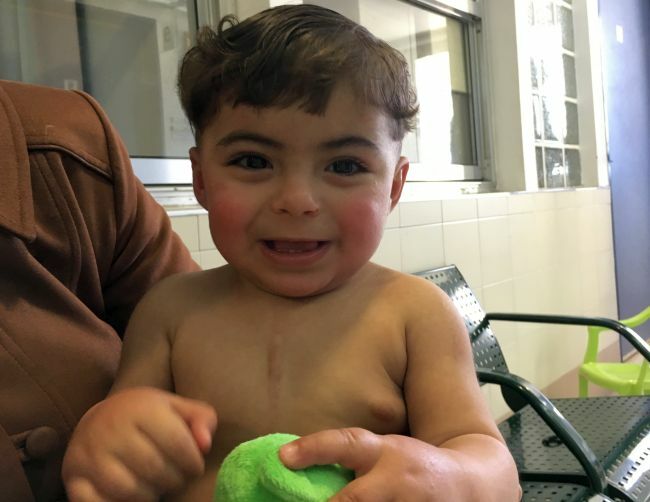 Ahmed (17 months): He came here with his lovely grandma for a follow up for his pacemaker. Praise the Lord everything looks good! He enjoyed so much his time playing with Anna, walking and smiling. 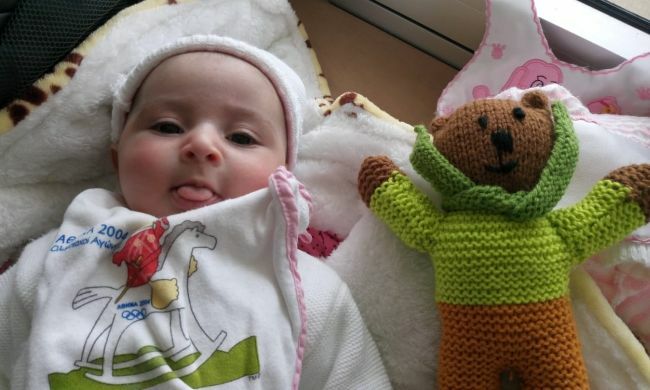 Elen (50 days): The youngest baby from the group today. 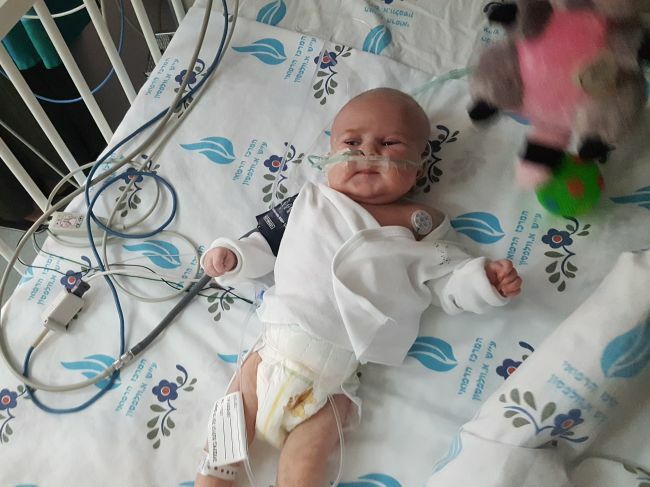 Elen has a complex congenital heart disease. She has truncus arteriosos type 1 and truncus valvue stenosis. She was admitted today for urgent evaluation and possibly surgery tomorrow. Please pray for wisdom to the doctors and also for a quick recovery and healing in this little one. 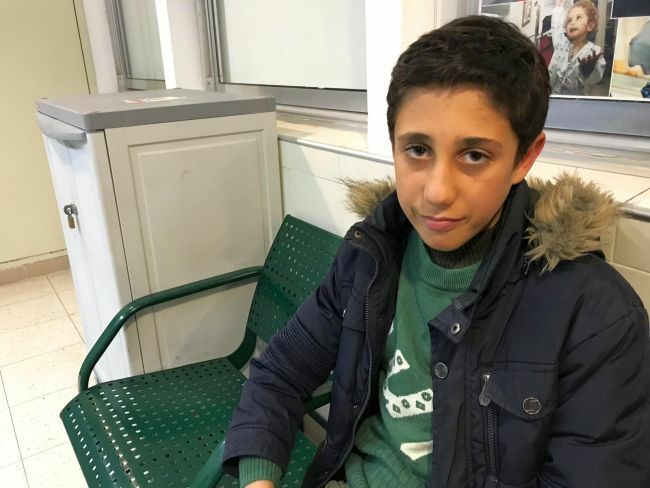 Mohammad (15 years): He came for a follow up. 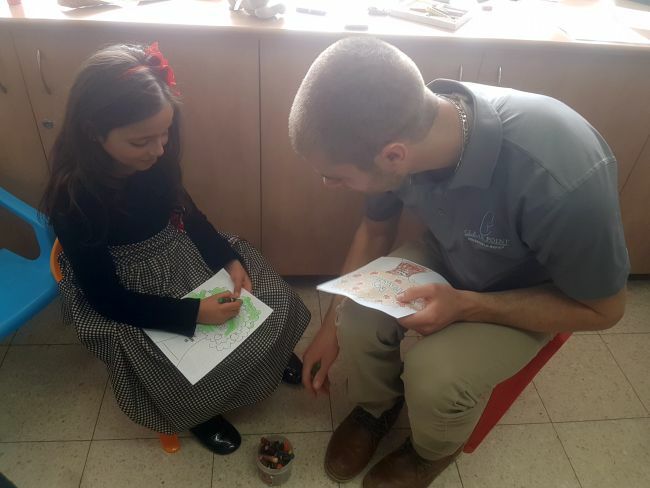 Teka (9 years): We really enjoyed our time with this beautiful and smart girl, she painted really nice and also she knew some English. She came here for a follow up. 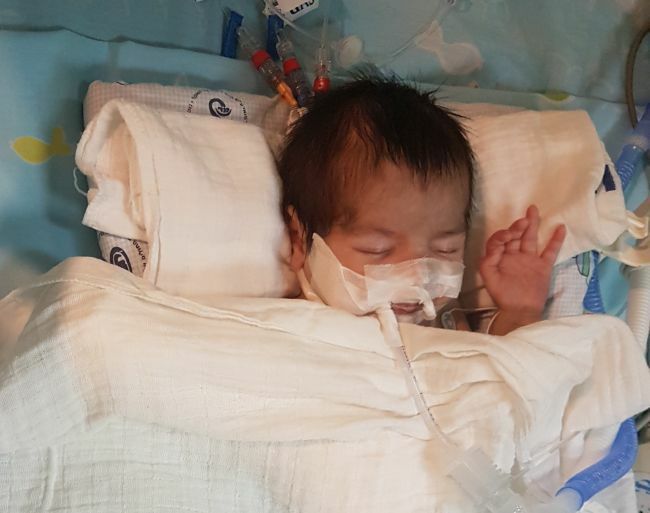 Ward (3 months): This sweet baby came here for a evaluation for a complete atrioventricular canal defect. 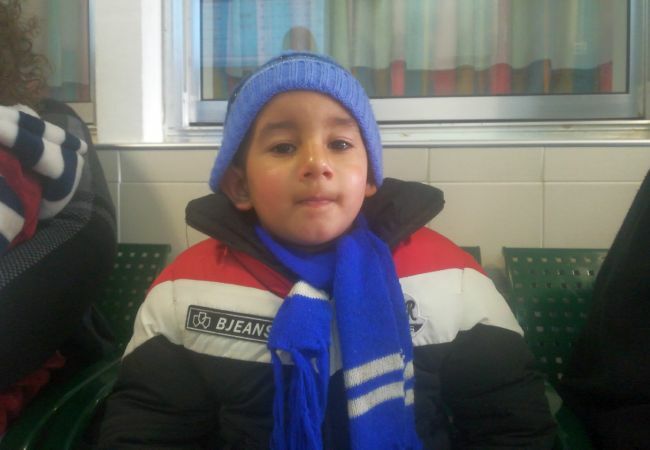 Yehia (3 years): This active and smiling boy came for a re-evaluation for his cardiomyopathy. Anna really enjoyed her time with him. While we waited for his appointment they played with a ball and others kids joined them. 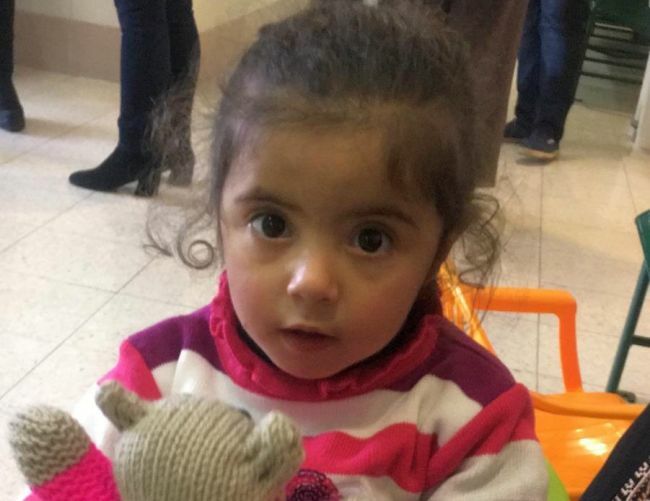 Hanan (1 year): This sweet princess was admitted for a urgent evaluation and possibly a cath. 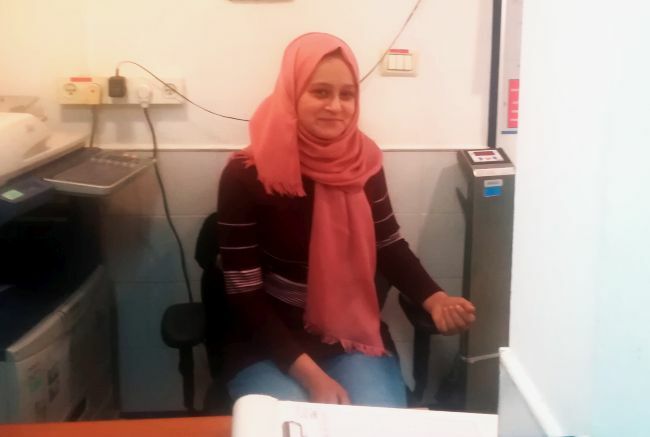 Sanabel (18 years): The oldest girl in the group was admitted for a cath tomorrow. She already had some procedures like that, but she is so brave. We trust in God that everything is will going well with her. 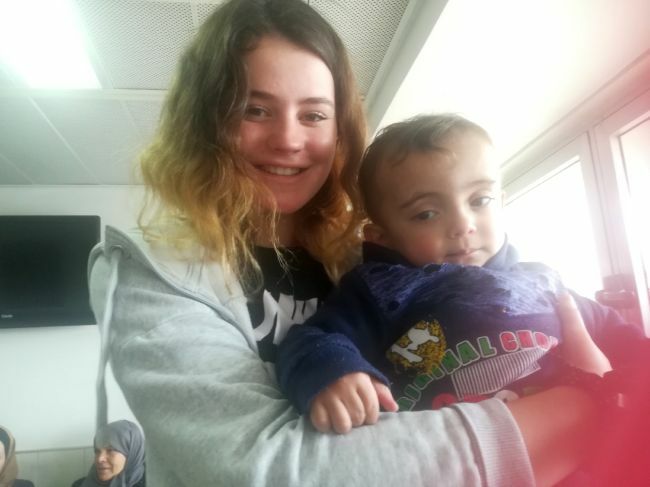 Ali (1 year): in the beginning this beautiful boy was crying and also he vomited because of his medication, but Anna and his guardian were able to calm him down and after then he played with us for a while. 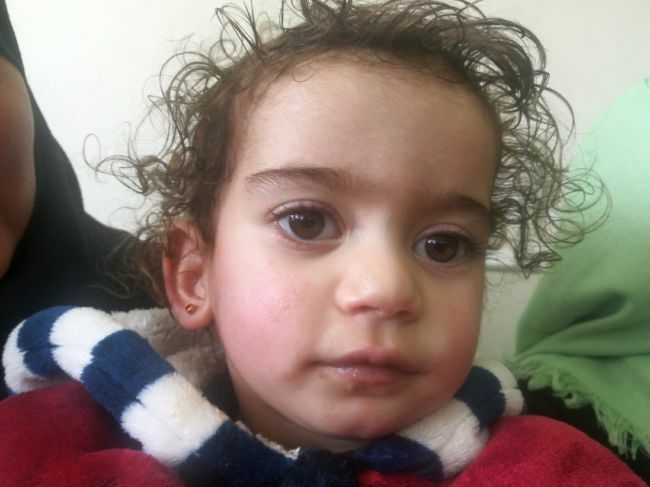 Sham (1 year): This beautiful girl cried for a while after her check up with the doctor. I tried to calm her down but the only one who could do that was her amazing grandma. We give thanks to the Lord for this beautiful day with those special families and also believe that God is with them. Please help us to pray for each of these beautiful kids. 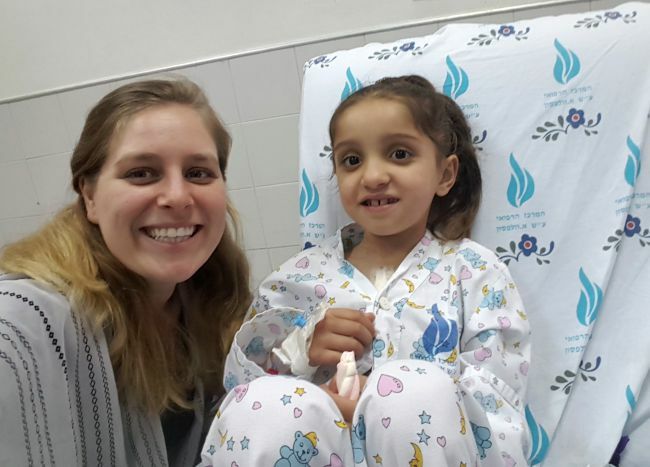 Sham has finished her surgeries in Israel. 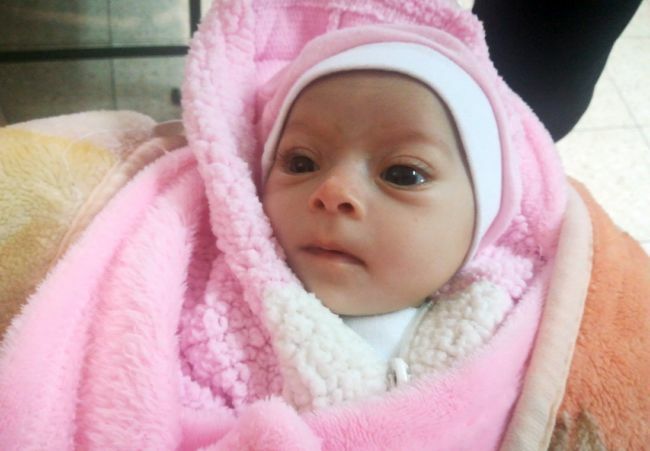 She has traveled today via ambulance to another hospital in Gaza. 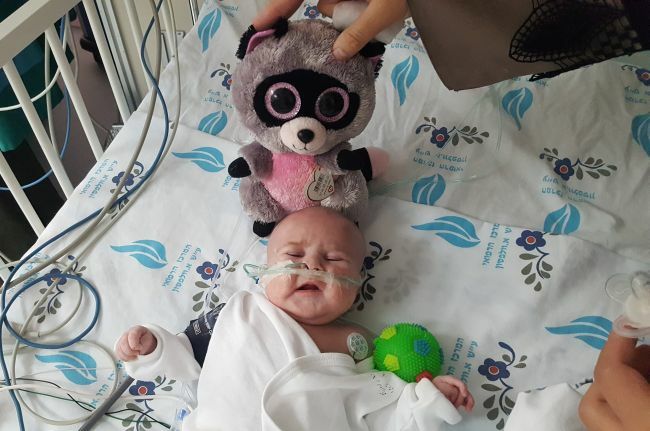 She still has some significant difficulties; today her oxygen went as low as 40%. 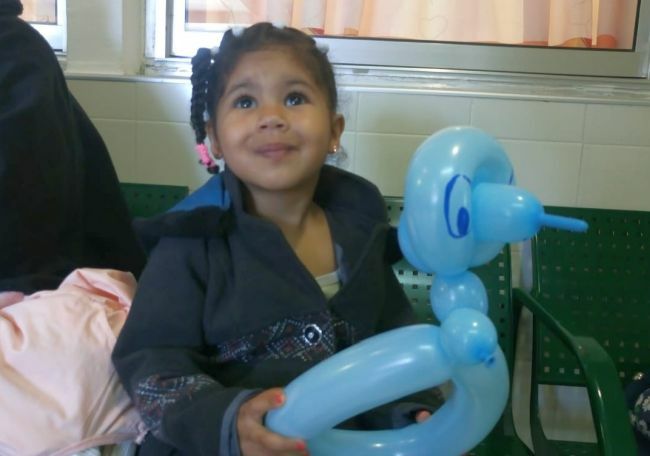 She has a tracheotomy and feeding tube, and the medical team predict that she will be requiring long term care. Please pray for her and her grandma, who has been with her all this time. Her family will be able to see her tomorrow. 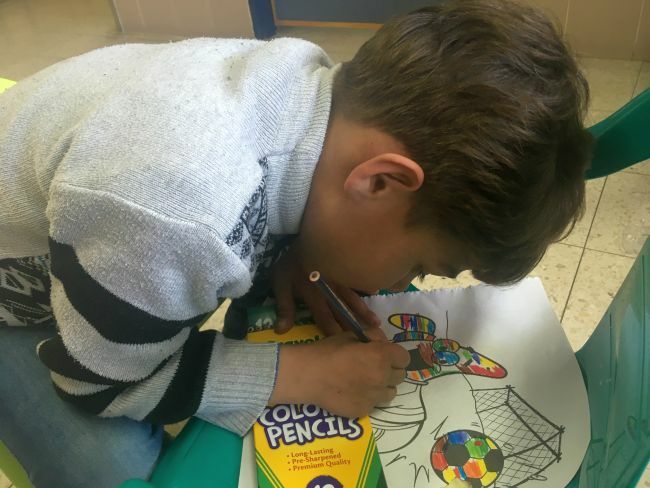 Today for Gaza clinic we were anticipating a large group of children however only 2 children were able to come for an appointment. Both Malik and Saleh had an echo and ECG. 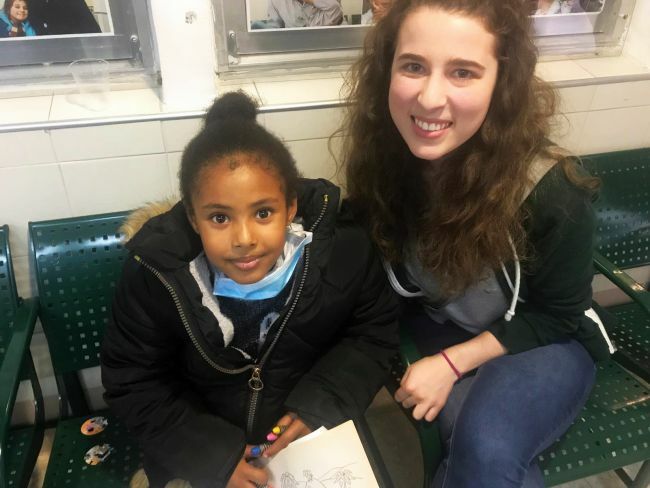 Malik is a 10-year-old clever girl who I had the pleasure of coloring with while we waited for her appointment. Today’s appointment was a simple follow-up for surgeries that she had when she was younger. 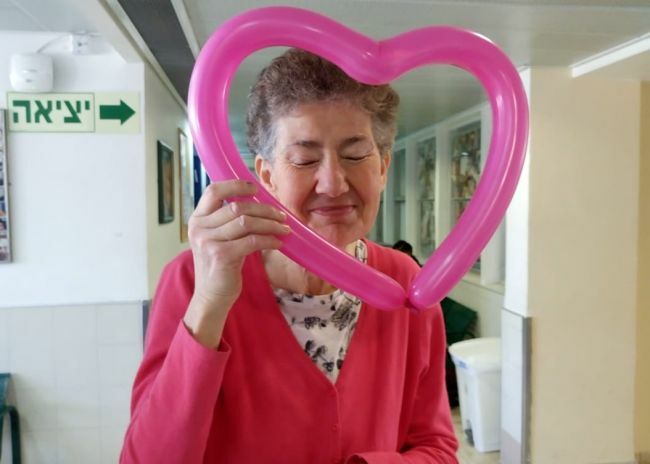 Her results showed that her heart is still well-functioning, and she does not require any further intervention besides regular follow-up. 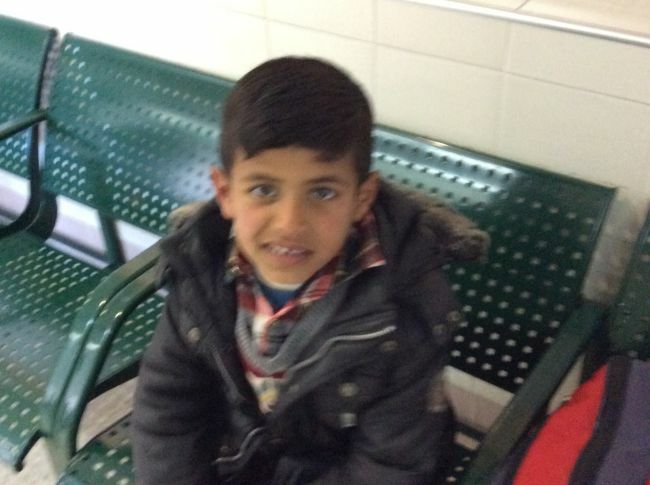 Saleh is a quiet 12-year-old boy who had a very sweet mum that helped us a lot with her English skills. His appointment was also a follow-up from surgeries when he was younger. His results showed that he will need surgical repair in the future. 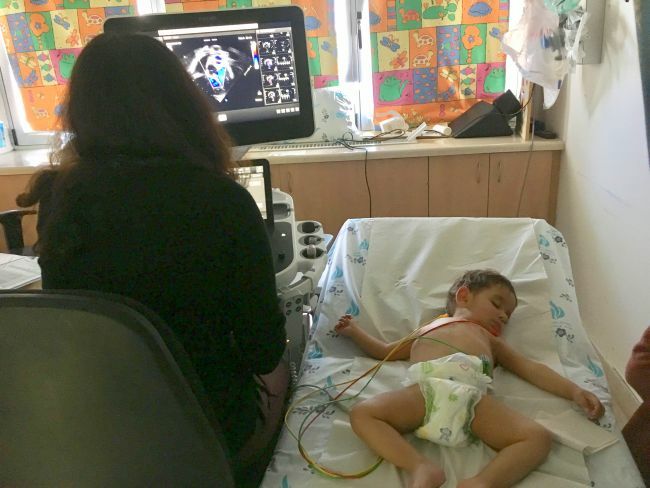 The doctors will continue checking his heart every six months with the plan to repair his heart in two years time. Praise God that they both continue in good health! Please continue to pray for their futures and for the families that were unable to come for appointments today. Little Sham had a tracheotomy this morning. We saw her after she came out from the procedure; she had had her head shaved, so all her beautiful black hair was gone. 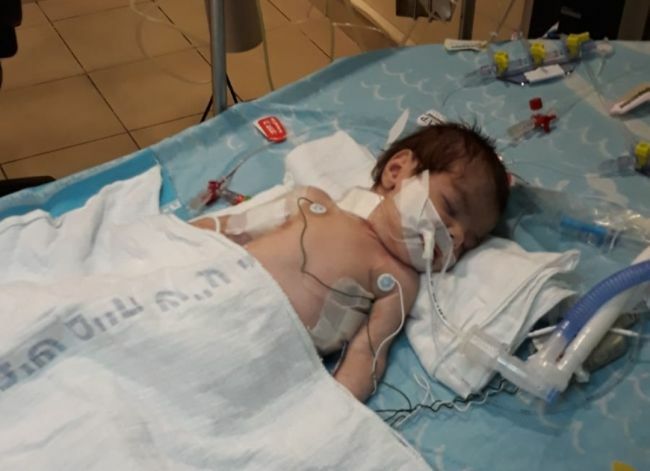 The hospital staff let me know that they are preparing to transfer her to a hospital back in Gaza, and they need to discuss and coordinate with Yousif to make a plan about this. Please keep Sham in your prayers; her tiny body has been through a lot. Pray for his blessing and peace for her family. Praise God that he has been with her this whole time. Today, we welcomed quite a few active and sweet kids, their lovely guardians, and we had a nice day together. All of them came for follow-ups and – thank God – also everyone received good news. The echoes went well. Most of the time, the waiting area was a big mess with toys everywhere and the children sitting right in the middle. But I found it nice just to distract the children and not let them feel the weight of being in the hospital. It also passed the waiting more quickly. One of our artists was 6 year-old Moortaz. As you see in the picture, he was really precise. Also he gave a wonderful, unbiased smile. 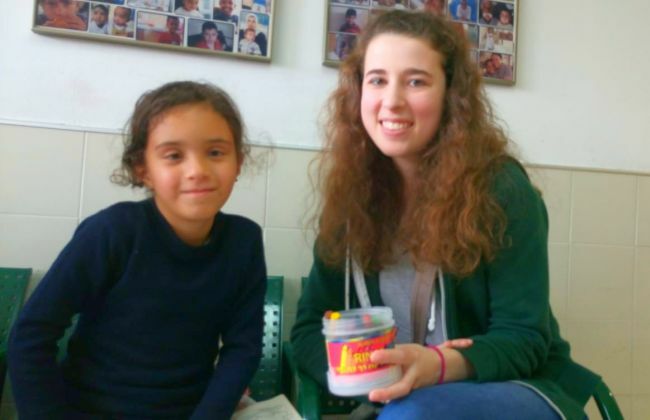 Our little “doctora’s” name was Baraa. She really likes to play being doctor. 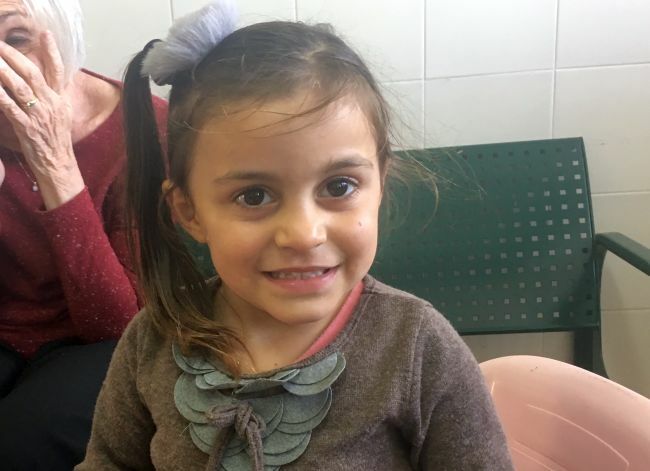 In the end, we adults had received a full check-up by this 6-year-old girl. Fortunately, we are all well according to her examination. The last girl I would like to mention is 4-year-old Laian. From beginning to the end, she kept a bit quiet. But she really got us with her beautiful, shy smile and her bright eyes. She also liked to paint, but enjoyed being a doctor too. At all, we had a nice time together. Please pray for those families as they have to undergo quite a long procedure to attend examinations. And please also pray for all those families who could not come today. May God shine through us and cross all walls of language, prejudice and culture. 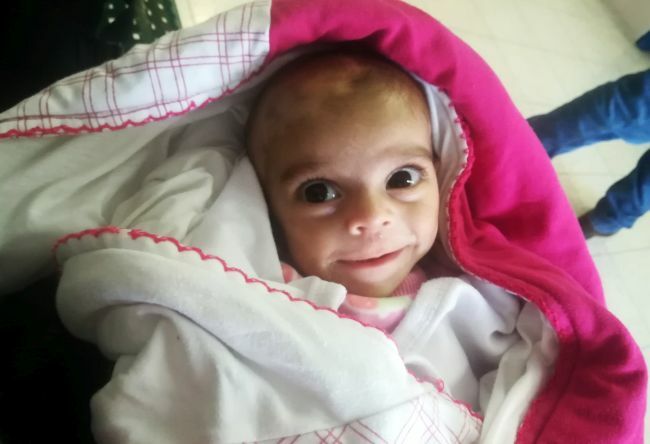 Little Aseel gave us a smile today, as she was in bed in the ICU. Her mother also was in a great mood and welcomed me and Kit with some tropical juice. She was extremely happy to show me that Aseel is no longer on oxygen, and her oxygen levels are at around 94%. Thank God for his healing so far in this little life. I was happy to finally see Sham. I have heard of her difficult journey so far, but it was good to see her finally. She has an awful lot of hair and a beautiful face, which was clear despite being covered and surrounded by so many tubes and wires. 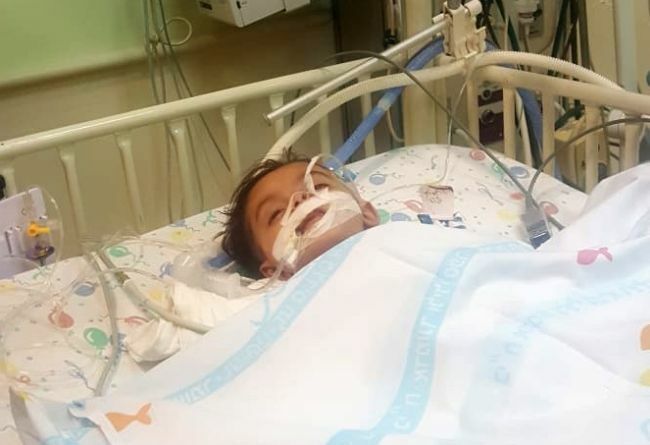 The nurse shared that Sham is doing a little better today; they have stopped the sedation and are now in the process of waiting for her to wake up. Please continue to praise God for his healing and ask for the Holy Spirit to surround and fill her and her family. 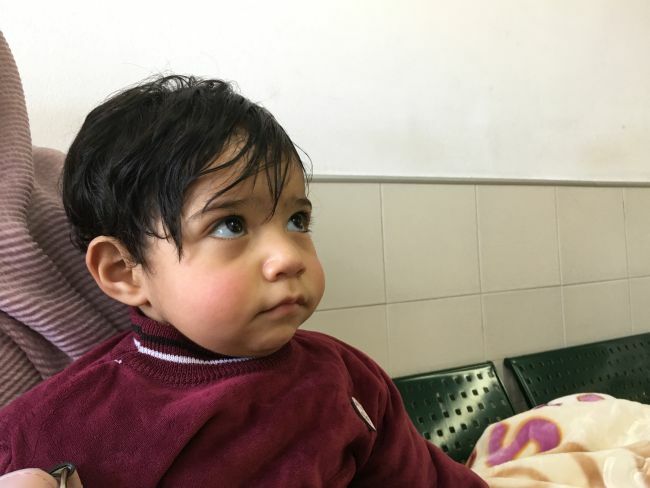 As of right now, Children from Gaza still needs $4750 toward surgery and related expenses.